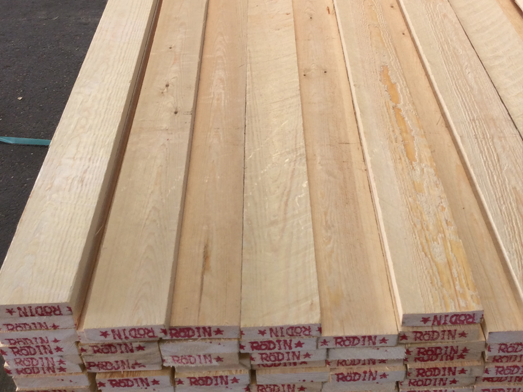 We use only Scots pine (Pinus silvestris) for all our stretcher bars. Our pine is sourced from superior Scandinavian sawmills with ecologically-sound logging practices. Unlike Norway spruce (Picea abies), often employed by our neighbours to the north, Scots pine is less active in nature and not as likely to warp. Moreover, Scots pine is nicer for woodworking than Norway spruce. Besides solid pine we also use laminated pine.This is created by gluing smaller pieces together, both lengthwise and crosswise. For a level, unwarped frame, this is the optimal solution, allowing us to guarantee high levels of reliability in both achieving and maintaining squareness. 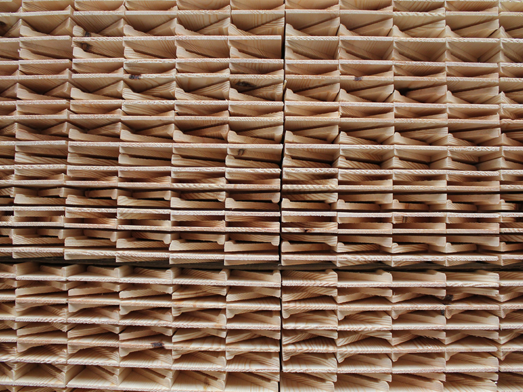 This is not the same as finger-jointed wood, where pieces are only glued together along their length. This gluing method is faster and therefore cheaper, but the results cannot be compared with laminated wood as warping is not eliminated, on the contrary. 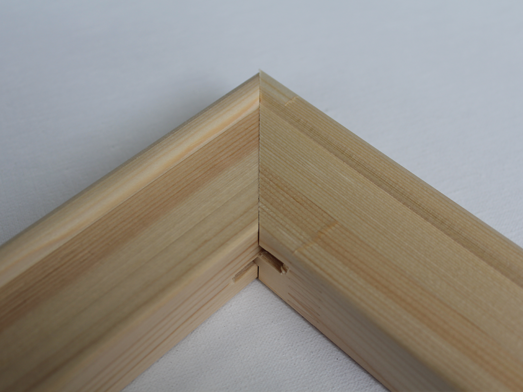 After all, the wood can still warp between two finger joint locations. For 18 and 19 mm thick stretcher bars, we do also use plenty of plain solid pine, though, enabling us to offer these popular sizes at a sharper price.No stretcher bars without wedges, and we ensure a sufficient supply is provided with your purchase.These aren’t made of plastic or softwood, but real beechwood, in the size and thickness appropriate to the stretcher bars.